That's Nathan of Nathan's Famous hot dogs. Ida, his wife, is said to have created the recipe that made the dogs so famous. 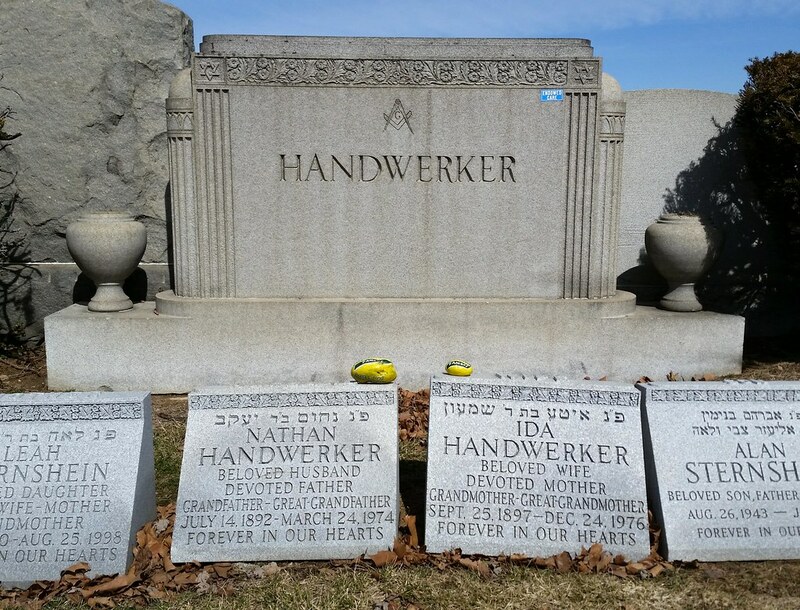 Feltman died in 1910, but his restaurant stayed in business, and it was a few years later that a young Polish immigrant named Nathan Handwerker found work there slicing rolls. Supposedly with some encouragement and borrowed money from his then-unknown co-workers Eddie Cantor and Jimmy Durante, Nathan opened his own hot dog joint in 1916 at the corner of Surf and Stillwell Avenues, where he and his wife served up frankfurters for just a nickel apiece, half the price his former employer charged. According to legend (and Nathan's grandson), with some variations from one telling to another, people were initially skeptical about the quality and contents of a wiener that could be sold for a mere five cents. To alleviate these concerns, Nathan hired people to dress as doctors and eat hot dogs in front of his stand, giving the impression that medical professionals considered his food perfectly healthy. Before long, with the arrival of the subway in Coney Island (and with the terminal station located right across the street), the dogs started selling like crazy, and now, almost a century later, Nathan's Famous remains a household name. As we've seen, it's a Jewish custom to place rocks on gravestones that you visit. If you take a closer look at the rocks sitting atop Nathan's and Ida's stones, you'll see they've been decorated with the Nathan's Famous logo. Painted on the bottom of each one are four names: Steve, Michelle, Diana, and Lucas — presumably the folks who left the rocks here at Mount Lebanon. As it turns out, Steve is Nathan and Ida's grandson, Michelle is Steve's wife, and Diana and Lucas are their two children. Steve and Michelle head up the International Association for the Advancement of Peace. Diana was named the Humane Teen of the Year by the National Association for Humane and Environmental Education in 2007, and is, or at least was at that time, a vegetarian. Lucas is a self-described "hypnotist, mentalist, speaker, writer, & explorer of the mind" and a father-described "explorer and facilitator of multidimensional reality".